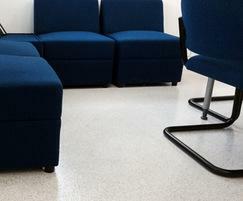 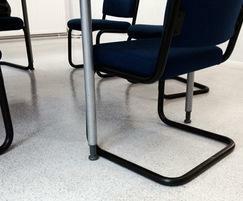 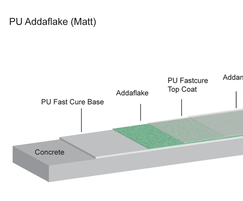 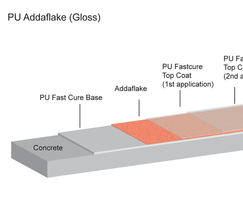 PU Addaflake from Addagrip is a fast-curing base and top coat system. 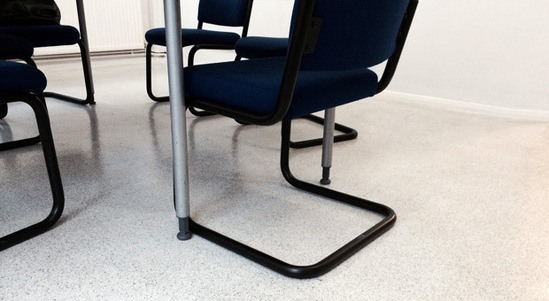 The fast-curing polyurethane coloured base coat is designed to hold a blend of coloured paint flakes overcoated with our UV stable matt or gloss top coats to provide a surface with excellent wear and scratch resistance. 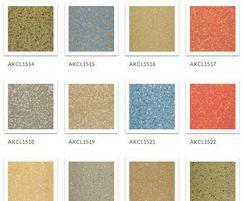 The coloured flakes are available in a standard range of colours or bespoke finishes can be developed to create your own unique floor.